What I Got: UPPABaby Stroller from Zulily! 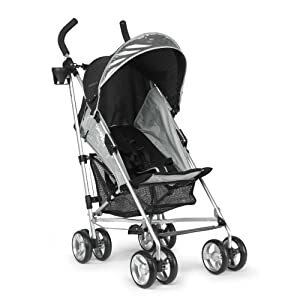 I got this great UPPABaby Stroller for just $109 today on Zulily. It retails for $159 on Amazon and up to $189 elsewhere. I had credit and desperately needed a single stroller for my budding NFL lineman who just turned 9 months old. They are listed under Lunch Box Blowout – Girls and Boys . . . and the clothes are all under $14.99. If you don’t want to buy today, but want to get these great deals delivered right to your inbox, you can sign up here for the Zulily newsletter.